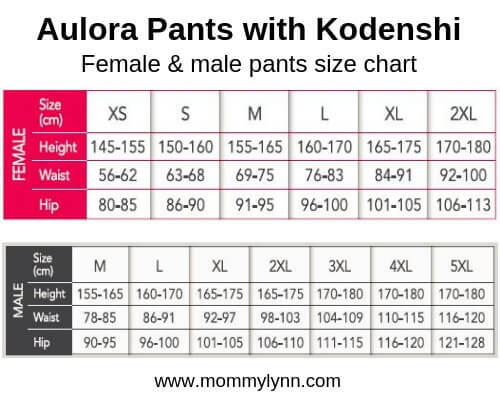 Aulora Pants With Kodenshi In Singapore – Does The Pants Work? Aulora Pants with Kodenshi® is one of the top selling slimming and wellness pants in Singapore. The pants / leggings is made with a special material known as Kodenshi® fiber, that uses far infrared rays technology. The pant is 100% designed and made in Japan and fully imported into Singapore. The product brand owner is BE International Marketing. The company has an office located at Geylang. The pants is not only for slimming, it can also be used for general health purposes. 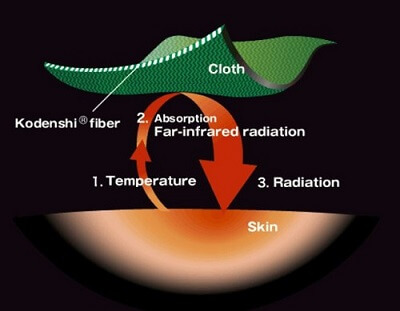 Kodenshi is actually a temperature retention fiber which emits far infrared rays radiation which acts on a body temperature range effectively. In a non-technical term, the manufacturer uses ultra-fine ceramic powder and incorporates it into the fiber. How small are the ceramic particles? The ceramic particles are so fine it is even smaller than the particles of cigarette smoke! Ceramic is a natural element that emits far infrared rays when it is heated. But what is the heat source for the Kodenshi fiber? The heat source is actually your body temperature. Therefore, when you wear the Aulora Pants, the material touches your skin and absorbs your body temperature and releases the beneficial far infrared rays. What are the benefits of far infrared rays (FIR) on human body? Far infrared and its therapeutic properties have been studied in China and Japan for over 30 years. Researchers have found far infrared can be helpful for enhancing blood circulation, reducing pain, strengthening the cardiovascular system, easing joint stiffness and inflammation, and revitalizing skin cells. The Aulora Pants with Kodenshi is a type of garment that utilizes FIR. I can only share my personal experience wearing the pants. I am a mommy with 2 little girls. I first got the Aulora Pants back in December 2017. What I wanted was to get rid of my flabby tummy and also relieve my constant leg cramps and back ache. What made me decide to buy the leggings? You can read about my decision to buy the pants here. I wore the Aulora Pants for almost 24 hours a day. 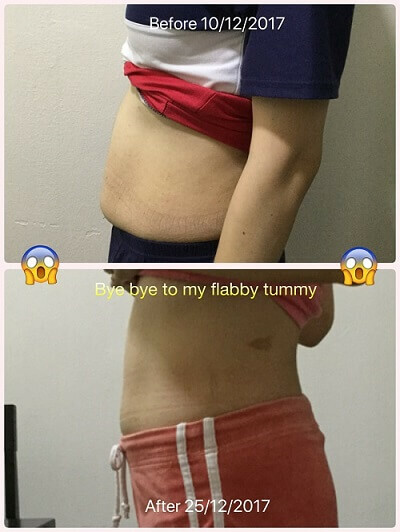 I started to notice my flabby tummy flattening after just 14 days. The pictures above are my “before and after” result from wearing the pants for the first 2 weeks. As an added benefit, my leg cramps and back ache are no more. Therefore, I can confidently say that the Aulora Pants worked for me. Will the Aulora Pants work for you as well? I can’t give you a specific guarantee because our bodies are different. All of us have different metabolic rate and different lifestyle. Well, the only way to know for sure is to try it. Most people do not know that the Aulora Pants is also suitable for men. Even though the product brochure shows a picture of a women, the pants can also be worn by men or all ages. Back in April 2018, my husband asked me to get a pair of the Aulora Pants for him to try. Slimming is not his main concern. What he wants is to relieve his stiff neck and shoulder muscle from sitting in front of the computer for too long daily. Sometime, his stiff muscle is so bad he will have migraine at night. After wearing the pants for 2 days, he told me all his stiff neck and shoulder muscle went away. He also experienced better and deeper sleep at night. Nowadays, he wears the legging to his office everyday underneath his slack. Update: A new pants design for men has been launched in Singapore back in mid July 2018. The men design is slightly thicker and straighter compared to women design. The size for men pants now goes all the way to 5XL. Previously, women pants size only goes up to 2XL. If you are active in sports, the men compression pants will be an excellent exercise garment. Update 1/9/2018: As of 1st September 2018, BE International has revised for pricing for the Aulora Pants in Singapore. For the last 6 months, the company has kept the pricing of the pants at the introductory level. 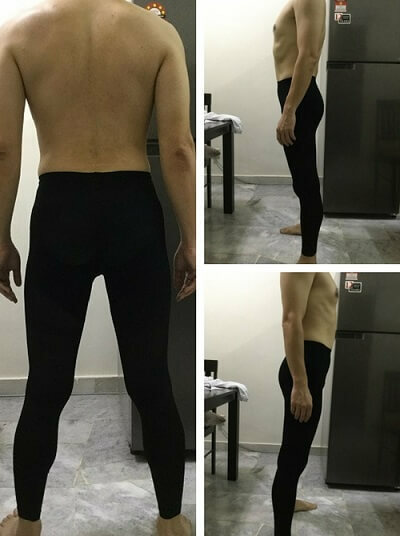 Now that the compression pants has gain some popularity in Singapore, it is expected for the company to revise the pricing. Will the pricing in Singapore be revised again? At this moment, I can’t answer the question above. Only time will tell. If you are really interested to try the pants, the best time to get it is right now! What is the best option to buy the Aulora Pants in Singapore? My suggestion is to buy it direct from BE International. There are many benefits when you register as a member. You can read about the benefits in my article “4 Benefits Of Becoming a Member of BE International“. As a member, you will have access to the BE2U smartphone app which is the company’s online shopping platform. You can order the pants inside the app and you’ll have the option to pay using your credit card. Your pants order delivery within Singapore is free of charge. To register as a member, the fee is only SGD20 and the process can be done online. Are you interested to register as a member with BE International in Singapore?